BROWN, ANDREW, Church of Scotland minister and author; b. 22 Aug. 1763 in Biggar, Scotland, son of Richard Brown and Isabella Forrest; m. 10 Sept. 1792 Daniel [sic] Cranstoun at Harvieston, Clackmannanshire, Scotland, and they had two children; m. secondly 2 March 1805 Mary Grant in Edinburgh; m. there thirdly 10 March 1830 Mary Pearson, née Ogilvie; d. 19 Feb. 1834 in Primrose Bank (Carrington), Scotland. Apart from a short visit to Britain in 1792, when he married his first wife, Brown spent almost eight years in Nova Scotia. Described by Bishop Charles Inglis* as “an ingenious young man from Scotland with amiable manners,” he was a brilliant preacher and a leading figure in intellectual and social circles. His ministry has been called St Matthew’s golden age, because it was during these years that the church rose to prominence. Brown did much to heal the breach between Congregationalists and Presbyterians, New Englanders and Scottish immigrants, in his congregation. He also attempted to deal with the divisions afflicting the Presbyterian cause in other parts of Nova Scotia, as his correspondence with the Reverend James Drummond MacGregor, the uncompromising anti-burgher minister in Pictou, reveals. The award of a dd to Brown in 1788 by the University of Edinburgh increased his stature in the colony. His connections in Halifax society were reflected in the fact that he served as chaplain both to the North British Society and to the military and naval forces. 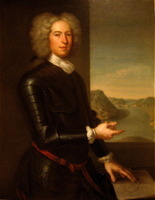 Brown had been recommended for his position in Halifax by the famous Scottish historian William Robertson, who appears to have acted as an intellectual mentor to him and could have stimulated his interest in history. 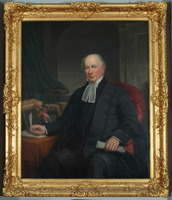 Although Brown worked hard in Nova Scotia as a minister of the Gospel, he spent much of his leisure in collecting and studying historical documents. In his research he also drew upon the recollections and observations of several of his contemporaries, including Brook Watson*, Isaac Deschamps*, and Hugh Graham. His association with the American historian Jeremy Belknap, the founder of the Massachusetts Historical Society (to which Brown was elected as a corresponding member in 1793), inspired him to embark on a full-length historical study. He may also have been influenced by the failure of the ageing Robertson to complete the North American part of his history of the New World. In any event, his original intention was to write a history of Nova Scotia; soon, however, his design broadened to include North America as a whole. Brown’s reputation as a scholar quickly spread beyond the boundaries of Nova Scotia. In 1791 he visited Philadelphia and met the famous physician Benjamin Rush, who called him “a man of genius, learning, observation”; it was on this visit that his friendship with Belknap began. He did not restrict his historical researches to documents available in British North America and the United States but worked, intermittently from 1792 onwards, on British official records in London. After he left Nova Scotia, he even paid visits to Paris in his relentless search for documents. Brown was a genuine scholar, with a gift for narrative, a critical and comparative sense, and an international as well as national and local approach. Yet he never completed and published his history of North America, although he made three drafts of it. Through family neglect many of his papers were lost; what remain are distributed largely between the British Library in London and the Edinburgh University Library. Some of Brown’s documents and his handling of them have been appreciated by historians of Canada, notably by John Bartlet Brebner*. Conservative in temperament and critical of both the American and the French revolutions, Brown nevertheless displayed a pronounced sympathy with the oppressed, whether Acadians, Indians, or Scottish villagers whom economic and social pressures had “driven to the workshop or to the wilderness of a new world.” As an historian of Nova Scotia, he differed from later writers such as Thomas Chandler Haliburton*, Beamish Murdoch*, and Duncan Campbell* in his warm view of the Acadians and in his sophisticated analysis of the deportation. For him, Acadia before the expulsion was a peaceful, idyllic society, a “Paradise Lost,” and much of his manuscript history is a detailed discussion of Acadian life prior to 1755. He greatly admired Paul Mascarene*, the administrator of the colony in the 1740s, for his tactful and compassionate treatment of the Acadians; at one point in his account he wrote “I love Mascarene” in the margin. Acting governor Charles Lawrence*, in contrast, was subjected to harsh criticism for his role in the removal of the Acadians. Brown regarded the deportation as a cataclysm that could not be justified on any grounds, and he devoted considerable attention to the sufferings of the Acadians in the course of their exile. But he was not content to moralize. The conclusion he reached after poring over his documents was that the expulsion was the work not of Lawrence alone but of Lawrence working in unison with a Council controlled by Boston interests. This notion that New England played an important part in the tragedy of 1755 was later to find brilliant expression in Brebner’s New England’s outpost. Brebner also seems to have been influenced by Brown’s treatment of the Acadian quest for neutrality in the years leading up to the expulsion. The theme of Acadian neutrality figures prominently in New England’s outpost, and it was also used to illuminate a later period in Nova Scotian history in Brebner’s classic study The neutral Yankees of Nova Scotia. Brown returned to Scotland in 1795; as chance would have it, he travelled on the same vessel as Prince William Henry, whom he impressed so much that in 1801 the prince recommended Brown for a university chair. Minister of Lochmaben from 1795 to 1799, Brown went on to become minister of two Edinburgh churches: New Greyfriars from 1799 to 1800, and the High Kirk of St Giles (St Giles Cathedral) until his death in 1834. In 1813 he was appointed moderator of the Church of Scotland. With the help of the prince’s recommendation, in 1801 he was made professor of rhetoric and belles-lettres at the University of Edinburgh. 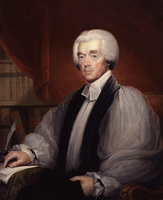 The appointment proved almost disastrous to the chair, presumably because, in addition to his professorship, Brown struggled with ill health and family problems, the demands of his Edinburgh congregation, and his history of North America, ever expanding under the weight of new material. Brown had high standards as an historian. In a revealing remark made at the end of his discussion of the deportation, he noted that “the last sentence must be changed . . . I can make it better.” Unfortunately, his pursuit of perfection resulted in a meagre list of publications: three sermons in Halifax, and two sermons and a slim tribute to an academic colleague in Edinburgh. Although not without interest as reflections of and commentaries on his times, these works do not do justice to one who might have succeeded William Robertson as historian of North America or have produced, before Haliburton in 1829, the first history of Nova Scotia. 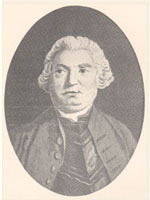 Andrew Brown’s published works include A discourse delivered before the North-British Society, in Halifax, Nova-Scotia . . . (Halifax, 1791); A sermon, on the dangers and duties of the seafaring life; preached before the Protestant dissenting congregation, at Halifax . . . (Boston, 1793); The perils of the time, and the purposes for which they are appointed; a sermon . . . (Halifax, 1795); Love of country explained and illustrated; a sermon . . . (Edinburgh, 1801); The standard of excellence established in the Gospel; a sermon . . . (Edinburgh, 1810); and Notice of the life and character of Alexander Christison, A.M., late professor of humanity in the University of Edinburgh (Edinburgh, 1820). In addition, his notes on “The Acadian French” were published in N.S. Hist. Soc., Coll., 2 (1881): 129–60; and his correspondence with Jeremy Belknap is available in “The Belknap papers,” Mass. Hist. Soc., Coll. (Boston), 6th ser., 4 (1891): 521–615. The main manuscript collections of Brown’s papers are BL, Add. mss 19071–76, and Edinburgh Univ. Library, Special Coll. Dept., Gen. 154–59. BL, Add. mss 19069–70. Dalhousie Univ. Arch. (Halifax), DAL, MS-1-1, C-1 (Dalhousie College, letter-book, 1818–20): 13–30. The matriculation albums of the University of Glasgow from 1728 to 1858, comp. W. I. Addison (Glasgow, 1913). Scott et al., Fasti ecclesiæ scoticanæ, vol.1. The university portraits, comp. D. T. Rice and Peter McIntyre (Edinburgh, 1957). W. P. Bell, The “foreign Protestants” and the settlement of Nova Scotia . . . (Toronto, 1961). J. B. Brebner, The neutral Yankees of Nova Scotia, a marginal colony during the revolutionary years (New York, 1937; repr. ); New England’s outpost: Acadia before the conquest of Canada (New York and London, 1927; repr. Hamden, Conn., 1965, and New York, ). Alexander Grant, The story of the University of Edinburgh during its first three hundred years (2v., London, 1884). William Hunter, Biggar and the house of Fleming; an account of the Biggar district, archæological, historical, and biographical (2nd ed., Edinburgh, 1867). Nancy McMahon, “Andrew Brown and the writing of Acadian history” (ma thesis, Queen’s Univ., Kingston, Ont., 1981). George Shepperson, Edinburgh and Canada: two Brown studies (Edinburgh, 1985). J. B. Brebner, “The Brown mss. and Longfellow,” CHR, 17 (1936): 172–78; “Paul Mascarene of Annapolis Royal,” Dalhousie Rev., 8 (1928–29): 501–16. W. C. Murray, “History of St. Matthew’s Church, Halifax, N.S.,” N.S. Hist. Soc., Coll., 16 (1912): 137–70. George Shepperson, “BROWN, ANDREW,” in Dictionary of Canadian Biography, vol. 6, University of Toronto/Université Laval, 2003–, accessed April 24, 2019, http://www.biographi.ca/en/bio/brown_andrew_6E.html.